A citizens' group linked to April’s Dutch referendum on Ukraine will take part in forthcoming national elections to “save democracy”, it announced on Monday (5 December). GeenPeil is the third political party spawn by the loose coalition of referendum No campaigners, but it takes a markedly different approach. The party promised to set up an internet application and hold “microreferendums” for all bills that pass through parliament. That way, all rank-and-file members of the party will be able to influence how its MPs vote on law proposals, who will "always" vote the way of the outcome of the microreferendums. Elections are on 15 March 2017. Frontman Jan Dijkgraaf said his group, GeenPeil, would “reconquer democracy from the occupational politicians”. He noted that with today's technology there was no reason to ask voters to commit to one party for four years. 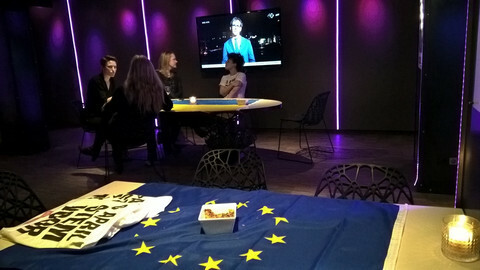 The group has its roots in the satirical blog GeenStijl (meaning “No style”, or “No class”), which had enlisted some 2,000 volunteers by 2014 to witness counting of the votes at the European Parliament elections and to report on the results. 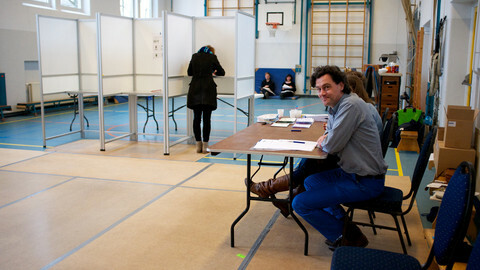 It called its initiative GeenPeil, a play on the blog's name with the Dutch word for polling. A year later, the initiative re-emerged to make use of a new law allowing citizens to request a non-binding referendum if they gathered enough signatures. 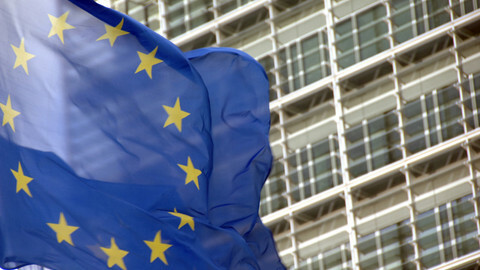 The GeenStijl blog showed that it had the capacity to rally people behind a cause, although it had made it clear that the aim was to create “a real national EU referendum”, instead of the nominal topic of the vote, which was whether or not to ratify the association agreement between Ukraine and the EU. Following the vote, which was comfortably won by the No side, the Dutch government began discussions in Brussels and The Hague about how to “accommodate” people’s “grievances”. The referendum was legally non-binding, but senior politicians both in government and parliament had promised they would take the result into consideration. 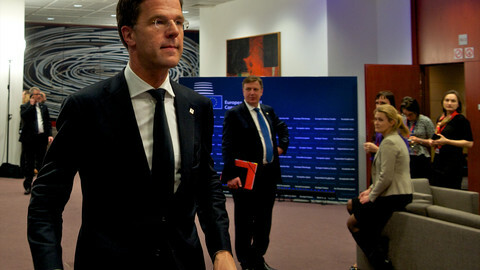 Eight months after the referendum, prime minister Mark Rutte is still in search of a solution and the issue is on the agenda of this month's EU summit in Brussels. The Geenstijl blog features a prominent counter on its homepage, counting the days since PM Rutte has “ignored” the referendum outcome. The GeenPeil website said the main reason to enter the political arena was because Rutte was “damaging democracy” by delaying a response to the No vote. However, the group is not without its own controversy. Last month, Dutch media reported that the European Parliament has demanded GeenPeil pay back €14,500 it had received in subsidies. GeenPeil had used the money, which came from the Institute for Direct Democracy in Europe, a body created by Ukip, a British eurosceptic party, to pay for a newspaper advertisement calling on readers to support the Ukrainian referendum initiative for a referendum. The grant was not allowed to be used for national campaigning. GeenPeil had already lost its main figurehead to another political party. 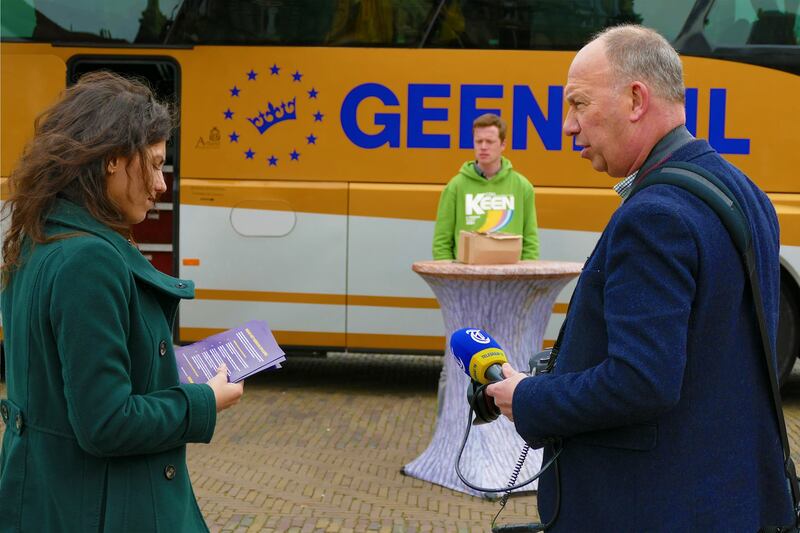 In August, reporter Jan Roos, who had worked for the GeenStijl blog and was the public figurehead for the GeenPeil campaign, joined a right-wing eurosceptic party called VoorNederland (or VNL, meaning “For the Netherlands”). Roos will lead the list of VNL, which was set up by two former disgruntled members of the party of anti-EU politician Geert Wilders. In September, another prominent No campaigner announced his group would enter politics. The Forum voor Democratie (“Forum for democracy”) was set up just over a year before to argue for more referendums and participatory democracy. On the night of the Ukraine referendum, its founder, Thierry Baudet, told EUobserver his group had “shown that the people want more participation”, and said he hoped more votes would be organised, about “Europe's open borders, the euro, and [EU-US trade treaty] TTIP”. 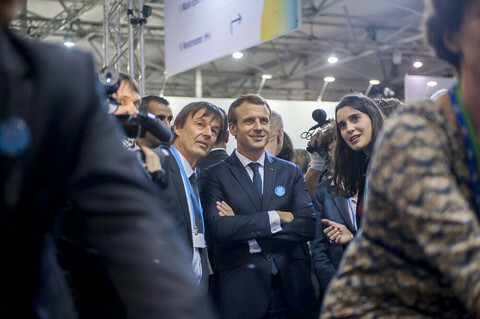 While Baudet said during the launch of the think tank in June 2015 that the group “does not want to start a political party”, he launched Forum voor Democratie as a political party less than 16 months later. 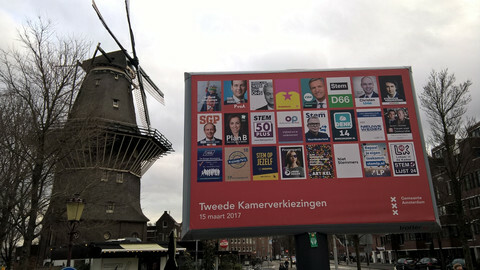 With the three political parties coming out of the ashes of the Ukraine referendum, the Dutch who want to cast an anti-establishment vote will be like children in a sweet shop. Beyond the three mentioned, there is the party of far right Geert Wilders, which has been doing well in most polls for months. There is also the populist party for seniors, called 50Plus, and the far left Socialist Party. There are two more parties that have broken away from Rutte's centre-left coalition partner Labour. Breakaway MPs have brought increased volatility to an already fractured political landscape. The previous election yielded representation for 11 parties, but there are currently 17 different factions in the Dutch Lower House. This is making it increasingly difficult to govern, and if GeenPeil keeps its promise and wins big, it can become even more difficult for a coalition to form. The group has said it would not take part in any coalition negotiations. One group wants to give voters an option to vote for an empty seat, which would serve as a constant reminder to the political parties that not everyone feels represented. 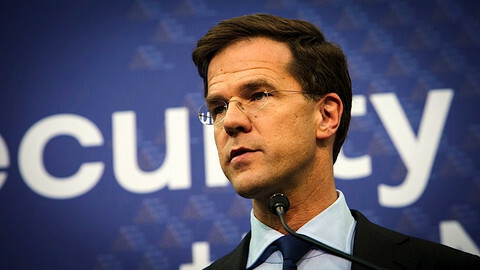 Rutte wants to walk away from an EU leaders meeting in Brussels next week with a "legally binding" declaration to quell grievances against the EU-Ukraine treaty.